Today was such a fun day. I decided to paint the boys' dresser and make it look more grown up. 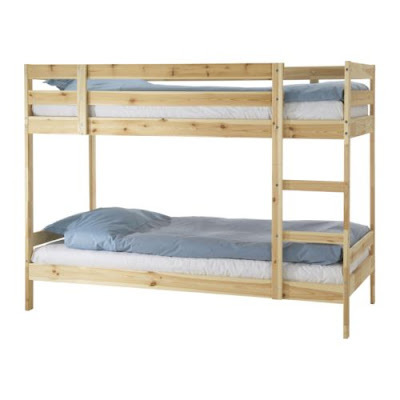 The reason for this: I finally scored some free bunk beds!! YAY! They are from Ikea and we also got a free twin mattress. Which we really needed to put on one of the bunks. This is great because poor Aaron has been sleeping in his toddler bed! I know, he's tiny but he has been ready for a big boy bed. So hopefully when my mother moves out next month Josh can move into his own room and we can get HIM a larger bed too. Now on to find some snazzy new drawer pulls and some bedding and curtains! I will post pics of the "new" room soon.